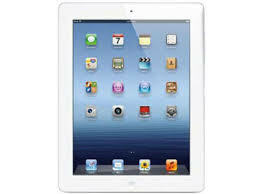 It was just announced last week; the iPad 3 will be on the shelf in Apple stores on Friday, March 16th. To date, the demand for past iPads has been phenomenal, and this one is no different. Pre-orders are already selling out. One can only image the lengthy lines on the day of its release. So, you may want to get yours ordered right away! So, why do you need one and what makes this one any better than the other tablets? The new iPad features a whole new Retina display. It has a screen resolution of 2048 x 1536 allowing it to display a million more pixels than your HDTV. Four times the number of pixels over its predecessor. That’s 3.1 million pixels delivering a very crisp picture that makes the graphics really pop. The performance that drives this display has also been revamped to the latest and greatest with the A5X chip with quad-core graphics. This little powerhouse chip provides fluid motion for all the business you conduct and for all the entertainment you could want. The quad-core graphics processing makes the iPad 3 amazingly responsive from scrolling and swiping to playing games and editing photos in the new iPhoto. What about the battery life? Well, you still get 10 hours on average use which trounces any laptop or tablet that rivals its capabilities. And there are also other perks such as the new 5 mega-pixel iSight camera with 1080p video capability for you to express your creativity. There are 2 main models: the wireless only model and the new 4G LTE via AT&T and Verizon model. You can surf at home, over wireless hotspots or anywhere in the world that supports 4G LTE by approved carriers depending on the model you choose, respectively. Of course, there is the added monthly cost from your cellular carrier for the perk of having access to the Internet anywhere anytime. The 3 storage sizes remain the same as before, which are 16GB, 32GB and 64GB allowing you ample space to fill with all your music, videos and of course your favorite applications from the more than 200,000 apps available in the App Store. The App Store is one of the many reasons people stick with Apple devices because one application can co-exist amongst your many iDevices . Many of these can by synced via Apple’s free iCloud storage so your data / files that matter most move with you and get backed up routinely. As an added bonus, you may also be interested in getting the AppleCare+ coverage for your new iPad which extends repair coverage and technical support to 2 years and adds accidental damage protection for all you people with butterfingers out there. How badly do you want one or need one? I’ve already pre-ordered mine! Stop by your nearest Apple store after the 16th or visit Apple online for more information.